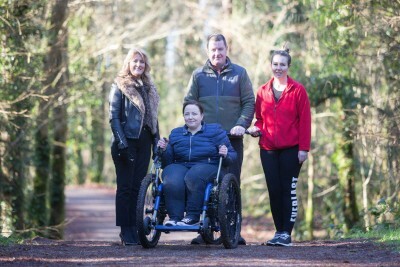 Three new fitness circuits for walkers and athletes of all abilities have been introduced to the 130-acre woodland at Active Ennis John O’Sullivan Park, Lees Road. 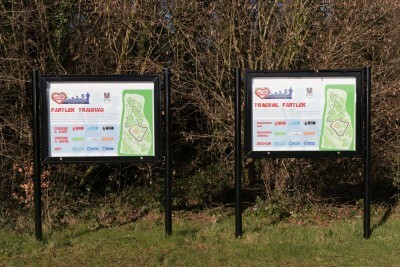 The Fartlek Interval Training System features colour-coded posts located throughout the woodland, with each one dictating relevant programmes and exertion level guides. 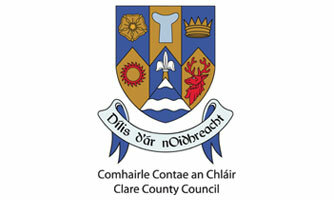 The new system has been delivered with funding of €10,000 received under the Outdoor Recreation Infrastructure Scheme with an additional €10,000 being funded by Clare County Council. 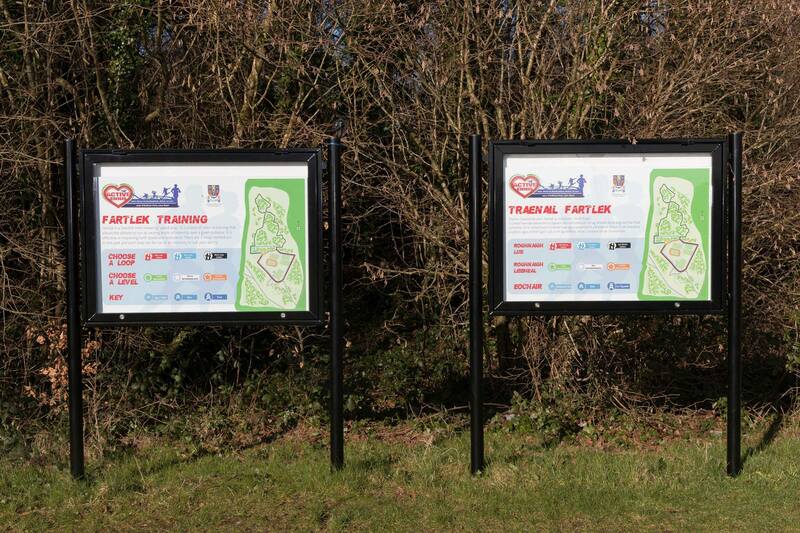 Fartlek, a Swedish term meaning “speed play”, is a form of continuous interval or speed training that allows the athlete to run at varying intensity levels over varying distances. 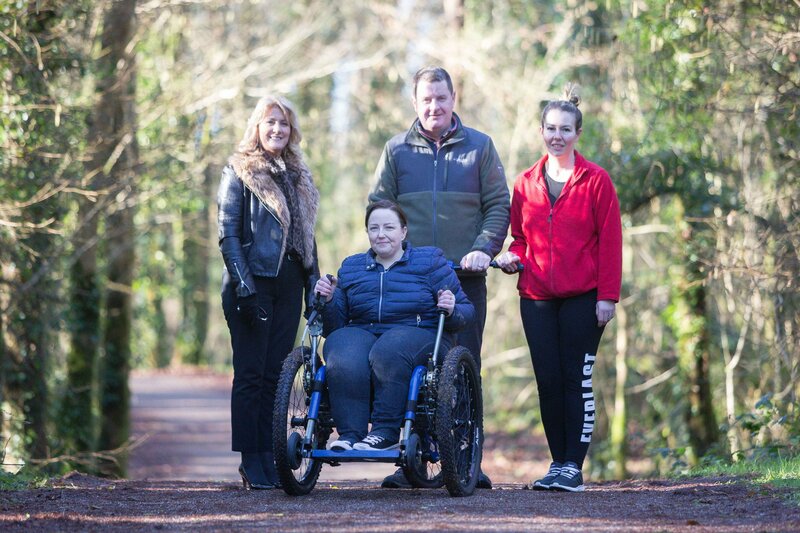 Meanwhile, funding has been provided through the Healthy Ireland Fund towards the provision of three all-terrain wheelchairs, two of which are based in Active Ennis John O Sullivan Park, Lees Road and one in Active Kilrush Sports Complex. Known as Mountain Trikes, the wheelchairs enable people with disabilities to tackle challenging surfaces with confidence and safety. 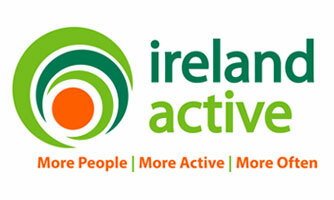 Active Ennis John O’Sullivan Park, Lees Road, which is located on a site of approximately 134 acres of woodland at Drumcliffe, also comprises four conventional playing pitches, a floodlit all-weather pitch, a cross country running track, woodland amenity walks and Clare’s first specifically designed and purpose built Skateboard Park. 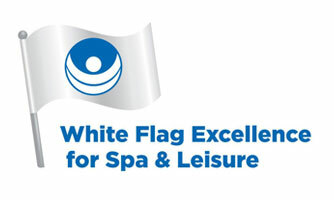 Other facilities managed by Active Ennis / Clare County Council, include the Green Flag award-winning Active Ennis Tim Smythe Park, Active Ennis Leisure Complex, Active Ennis All Weather Pitch (Cloughleigh), Active Ennis Pitches (Coote Park & Glenina) and Active Kilrush Sports Complex.